If you’ve landed on this page, because your primary objective is to find a reliable, affordable and safe skin conditioning and maintenance treatment that will leave you looking radiant and refreshed, then keep reading. As a billion pound money making machine, the beauty industry bombards us on a daily basis with the latest must have products, revolutionary skin care treatments and miracle cure serums, which promise to make us ten years younger in the blink of an eye. 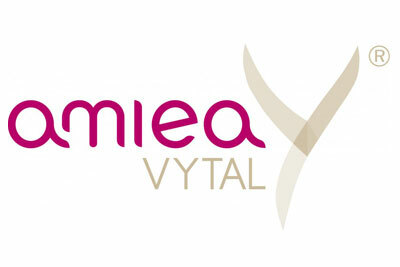 Here at my permanent make up and skin care clinic, I offer only a handful of carefully selected therapies that I personally recommend to you for their effective, consistent and long lasting results – Meso Vytal being one of them. In summary Meso Vytal is an innovative cell rejuvenation treatment and digital skin needling technique, which applies synthesized hyaluronic acid products into your skin through a contoured needle, which is attached to a hand piece similar in style to the one used in permanent make up. 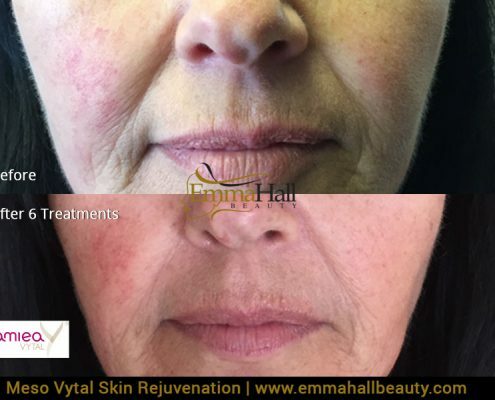 Working in a similar way to a skin stimulant which improves texture and aids the production of collagen, Meso Vytal delivers anti-ageing substances directly into your skin through the gentle penetration of the needle. The procedure is in fact so gentle that topical numbing agents are not required. As a relatively pain free treatment (the needles are plastic and are therefore less invasive than other skin needling techniques on the market), clients will not experience severe redness post procedure and rarely experience the wound healing phase which presents itself when undergoing a dermal roller treatment. Likewise in comparison with other popular medical treatments such as Botox, Meso Vytal will not have an effect on your muscular or nervous system. 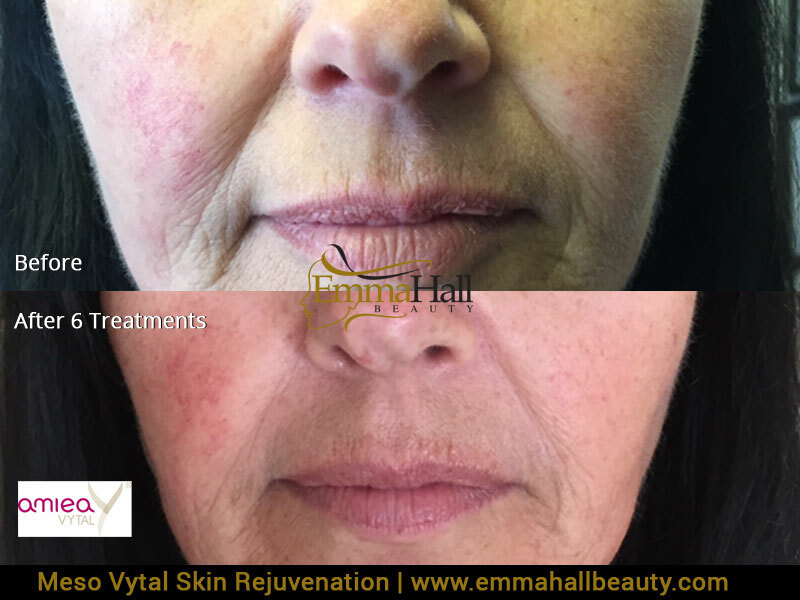 The entire concept of Meso Vytal was built around the idea of providing a tool to aid the natural process of skin renewal and rejuvenation, so if you’re looking for an effective yet gentle treatment that you can rely on this is your all in one solution. Results will become visible after two treatments with regular clients who are committed to this brand specific facial, experiencing long lasting skincare improvements. This treatment consists of a combination of vitamins, amino-acids and Q10 all of which are quickly delivered into the skin in synergy. The Meso Vtyal Fresh range is generally recommended for younger clients who wish to maintain a healthy and glowing appearance. Mature clients will benefit the most from this facial, as it directly addresses dry and dehydrated skin. The composition of the Meso Vytal Pure ingredients consist of soybeans, yams and amino-acids which rejuvenate the inner layers of the skin. We like to think of this range as the ultimate delux medi spa facial, mainly due to reasons such as activating the skin’s metabolism and desquamating old cells effectively. It is a fabulous treatment for people who truly care about and value their looks. 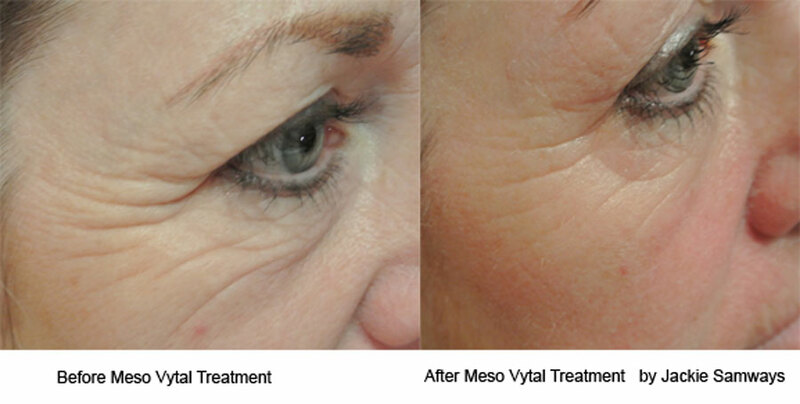 Probably the most popular technique, the Meso Vytal Med helps to reduce wrinkles, whilst stimulating collagen production. The hyaluronic substances and peptides contained in this range, specifically target tired, dehydrated and lifeless skin. As with all of my treatments a detailed consultation and comprehensive aftercare will be provided to maximise the effectiveness of your investment. There is no time like the present to start your new beauty programme, get in contact today and book your first treatment, the results will be well worth the wait.